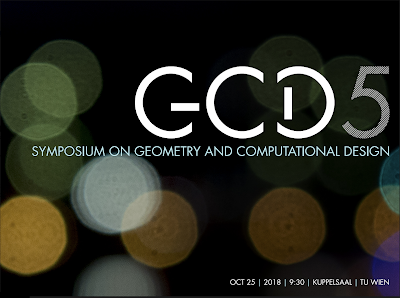 The members of the Center for Geometry and Computational Design invite you to the 5th Symposium on Geometry and Computational Design, at TU Wien on October 25, 2018. The symposium will be free for all attendees. Registration, via email to gcd-meeting@geometrie.tuwien.ac.at, is open until October 21st.